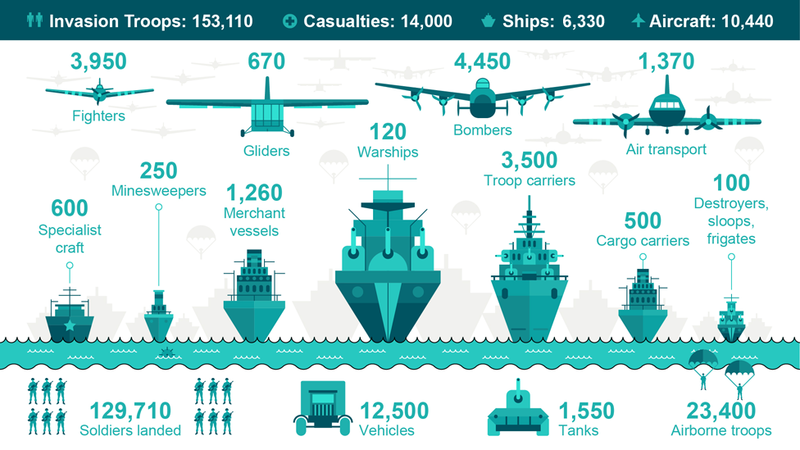 A couple of days ago marked the anniversary of D-Day. 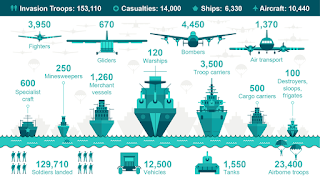 "The Normandy landings (codenamed Operation Neptune) were the landing operations on Tuesday, 6 June 1944 (termed D-Day) of the Allied invasion of Normandy in Operation Overlord during World War II." Over on military.id.me, there's a fine graphic from last year reminding us how much went into this day militarily here. 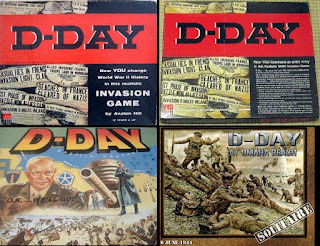 While there are more games than I will mention here at this time depicting the events of D-Day, the earliest might well be the Avalon Hill classic D-Day (first edition) (1961). It doesn't get a very high rating on the Geek by today standards but D-Day (second edition) (1977), which re-implements the game, does a little better. 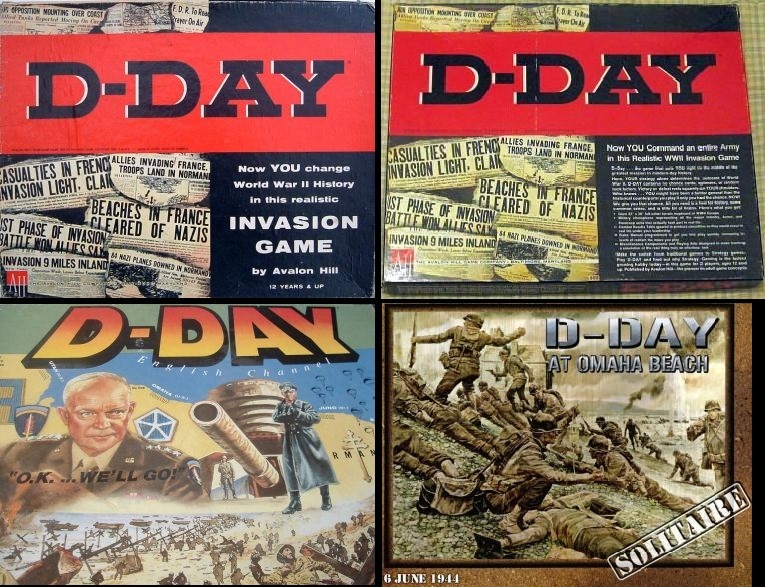 Even by the early 90s, D-Day games weren't up to snuff by BGG ratings standards, so the Smithsonian edition, which simplified the original, gets little love in D-Day (1991). However, veteran designer John H. Butterfield under the publisher Decision Games managed it with D-Day at Omaha Beach (2009) according to those who rated it on BGG. 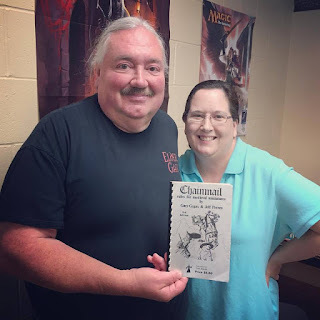 I will say that as a long time hex-and-chit wargamer, I don't have a problem with the time it takesw to play these classics nor do I have trouble with checking rules or consulting tables, so a lot of what irks modern gamers about the old classics doesn't bother me. Your mileage may vary. Finally, from the LuckyPennyShop.com YouTube channel, and in case you're wondering about the contents of the original game, here's an unboxing video. Enjoy!